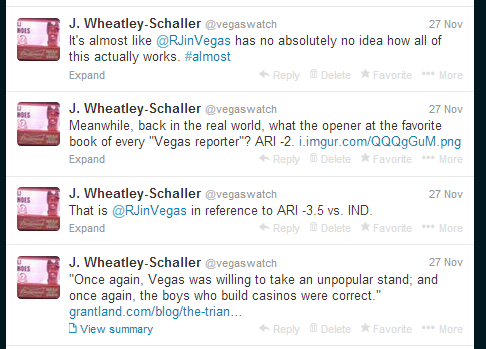 Vegas Watch: The Problem with R.J. I want you to apologize for this. Something something accountability....sense of superiority....not that tricky. "And then somehow -- either because noted #makingshitup enthusiast Jay Kornegay misrepresented the facts, or because R.J. has no clue how line movement and #SHRAP action and risk work, or maybe some other reason -- these tiny bets were reported as "significantly sharp action". Which, really, is not acceptable." This is clearly the crux of the issue. Why it's concerning is that the main presumed value takeaway by the slobbering masses from these (every week) articles is this false sense of Vegas-insiderness. This particular incident just happened to expose that what is being reported as "sharp" is nothing more than standard risk mitigation. Yep. 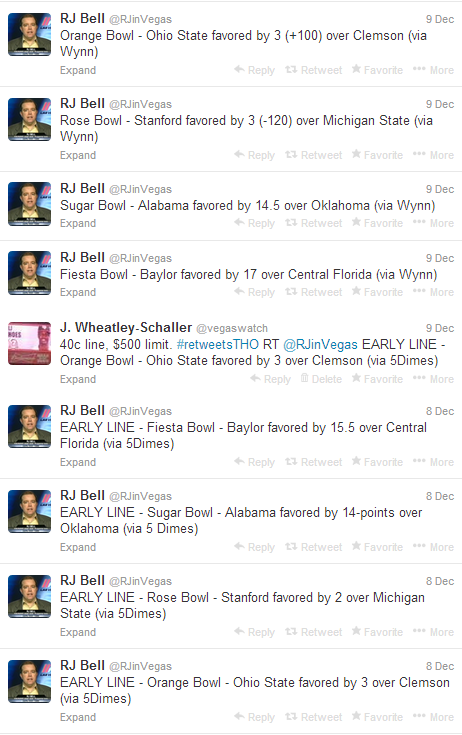 Which makes R.J.'s whole schtick even more worthless than previously realized.